The theme of the Hammerclub meeting 2014 in the German city Schwäbisch Gmünd, was In dialogue with nature. 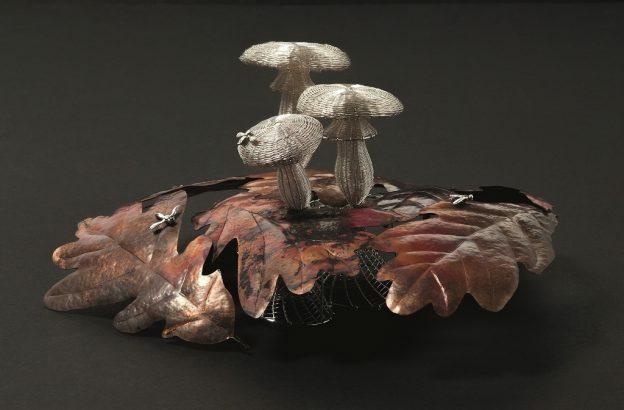 Maja combined her silver filigree with hammered leaves of copper and lost wax cast flies, with a natural scenery as result. The object was awarded in the 2015 Radakovich 21st Century Award exhibition Affectionate Bonds & Interwoven Connections. This entry was posted in Exhibitions on 06-05-2014 by Janjaap.